Book Release: The Cat Really Did That? Chicken Soup for the Soul: The Cat Really Did That? comes out today! My story “One Step at a Time” can be found on page 131. 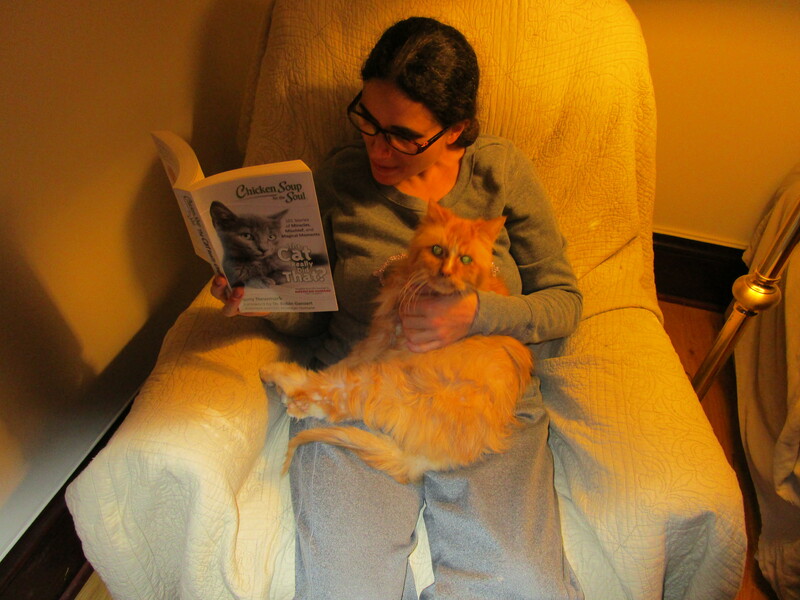 Read the book to find out how my miracle cat Sputnik beat the odds and survived a serious health crisis. 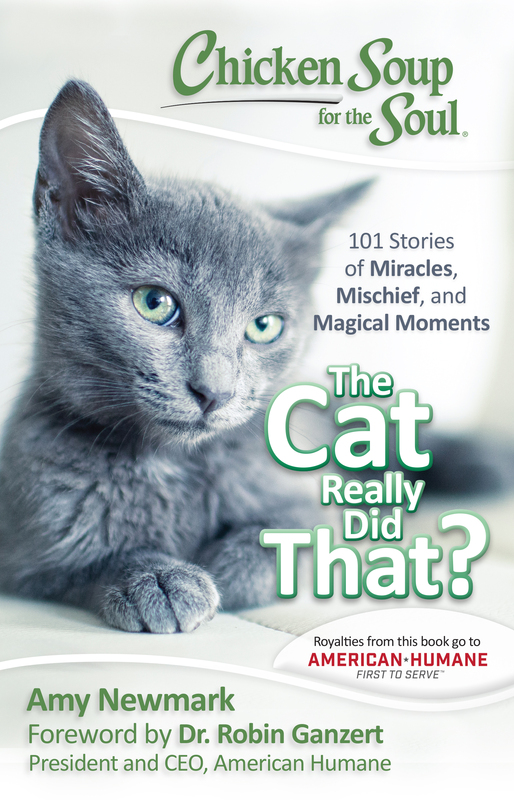 Plus, there are 100 other GREAT cat stories in the book, too! And the royalties go to American Humane! Can’t beat that! Stay tuned for more news, and have a purrrrfect International Cat Day! Me, reading Sputnik his story. He purred the whole time!